FC 3/c Robert M. Bodien, son of Mr. and Mrs. F. R. Bodien, Graham, attended Okla. A&M. 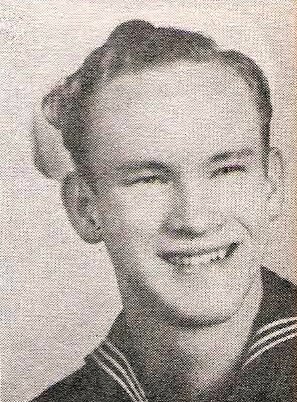 Entered Navy, 1943, trained in San Diego and Bremerton, Wash. Served on USS Yorktown, Okinawa, Phil., Iwo Jima, China Sea and Japan. Awarded ATO, APO, PL, and Victory Medal with 6 Battle Stars. Discharged in 1946.